Everyone, at first, I want to say thank you. thank you for favorable comments for my works always. Your comments always encourage me. And I have to apologize you. I am often busy and cannot answer. But always I am reading all your comments with joy. it was one of my dream but this car was too expensive as you know. So, I gave up my dream. 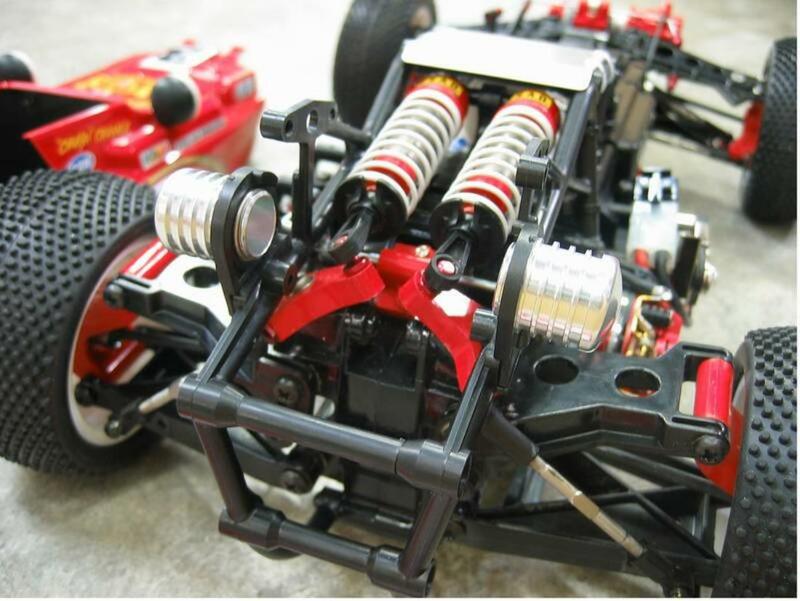 Suddenly, Tamiya gave me this gift. I did not want to change the outline of its unique styling as much as possible in respect for this great historic model. so, I had to choose more hard way for its modification. It was really hard to make, but finally my dream came true. 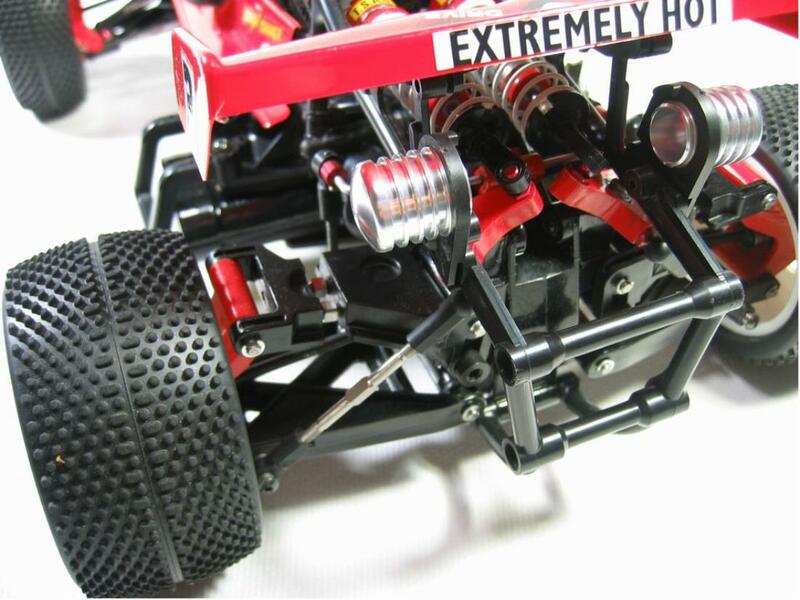 It has 4 inboard shocks and many modern features, please watch and enjoy. 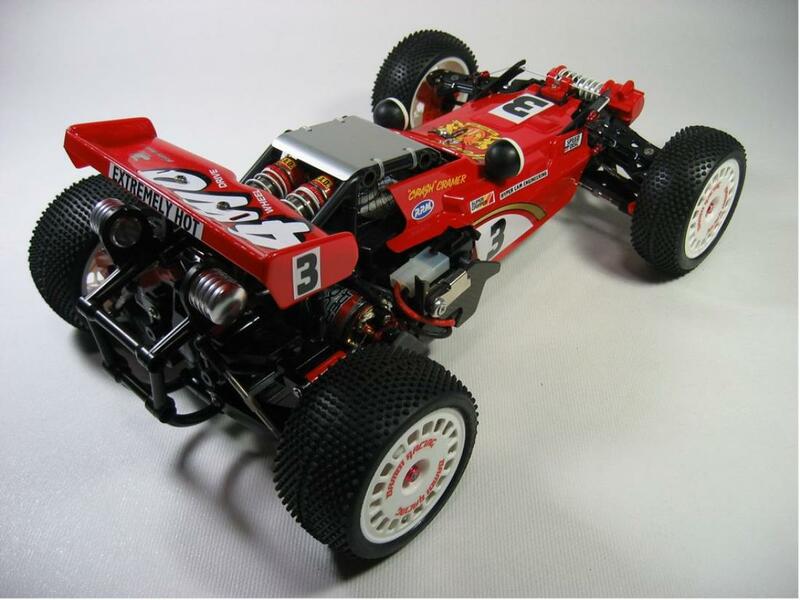 You are definitely one of the top Tamiya RC car fabricators/designers/artists on planet earth. Period. Well done, amazing attention to detail and function, also big points for aesthetic beauty. Wow...nice work. Thats some real creative stuff. The suspension upgrades are sick. You should do a tutorial. Beautiful car, keep up the good work. Wow, thats the hottest..shot on Tc. Amazing work! BLOODY...FREAKIN...INSANE!! Mate I salute you,this is by far the best HOTSHOT Ive ever seen.You are my MASTER. So when is this Hop up coming onto the domsetic market again??? absolutely amasing! top work. Hope to see more details because you are an inspiration to me! A-M-A-Z-I-N-G!! 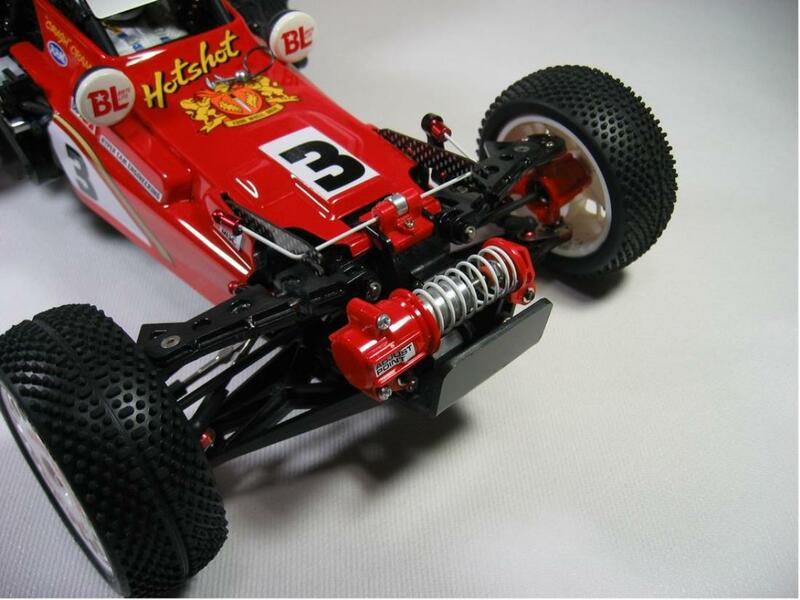 OK Grahoo, tell us the truth, you are the head of Tamiya's R&D department, right? Wow! 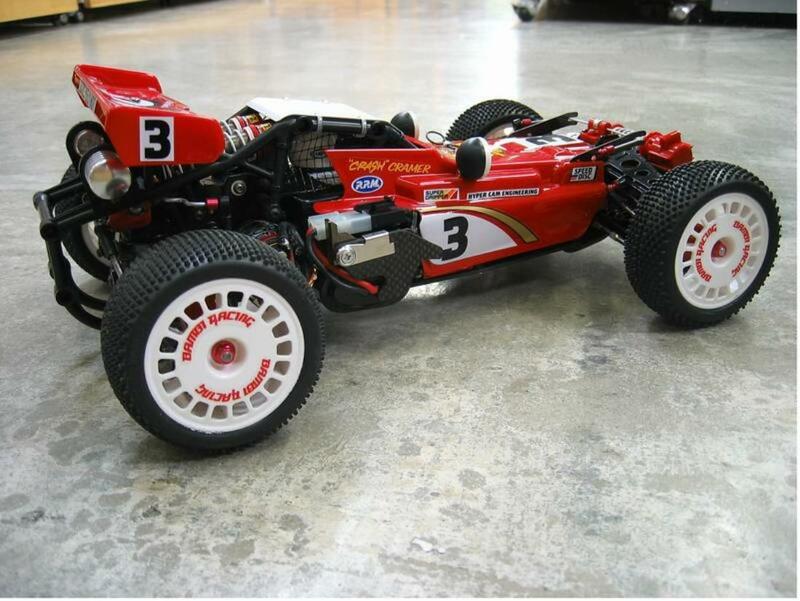 This is the sort of thing that Tamiya should have done. Very nice work Grahoo,how does it drive? Sugoi! Amazing work as usual! SuPeR! I'd like to see a movie of this suspension system!!! 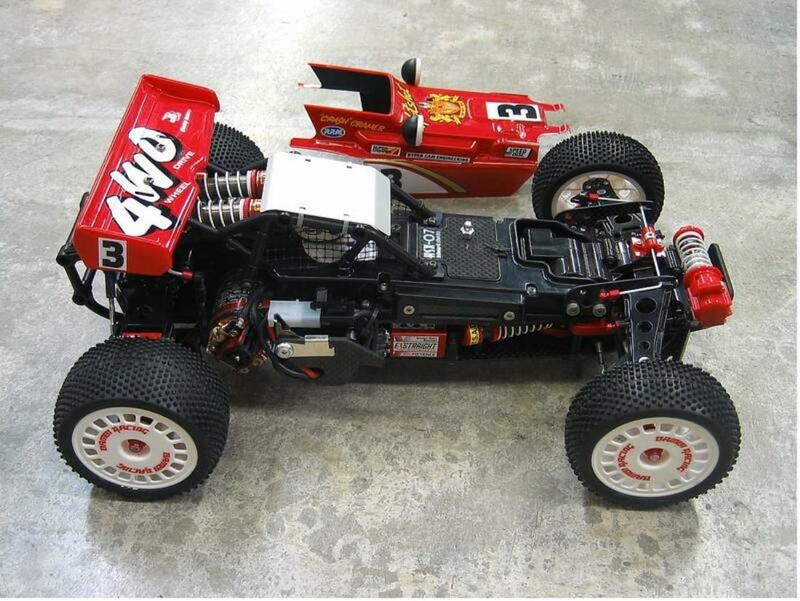 Send some picrure to Tamiya HQ so they will learn something! Beautifully implemented, engineering with great aesthetics. will this Hop Up be released to the public? Thank you very much all my friends!! I'm very happy now! another fine car from the grahoo workshop top work as allways. You inspire many people to look outside the confines of just the 'kit' . i'd be intrested to see canterlevers and how/what thay were made from/used, and how thay are mounted as it's something i've been looking into for a on-going project. Superb you have done a fine job of this classic . Suspect my browser dropped my comment as I should have been first in last night, but with that aside, let me re state from memory. 'Extremely HOT' is the understatement of the century. This beast looks like it would whip any and all contendors from today as well as back when the original was released. I do hope to put my name on the Hop Up list to be produced and sold by Grahoo in the NEAR??? Future(please). I especially like the quick change battery latch. 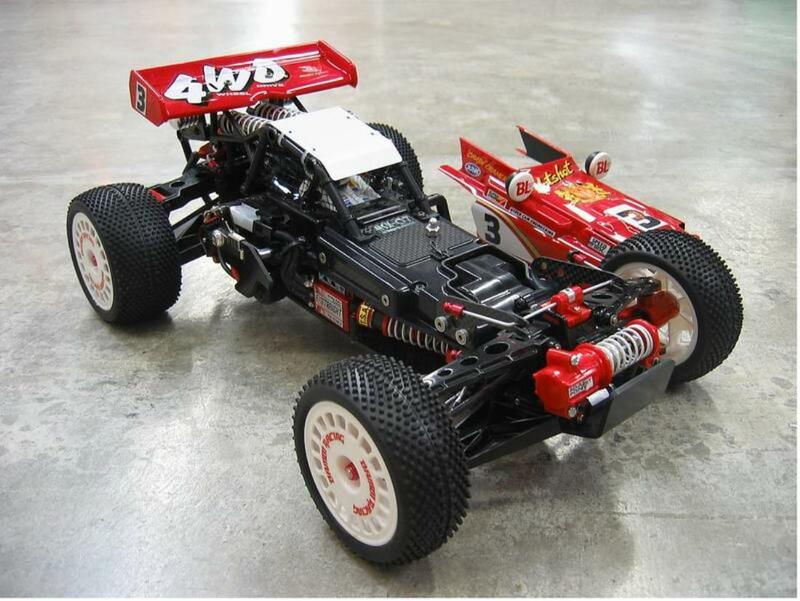 You are a genuine master of this art of RC modification. Thank you very much for sharing with us humble folks that would dream of that much talent. Fantastic as always! 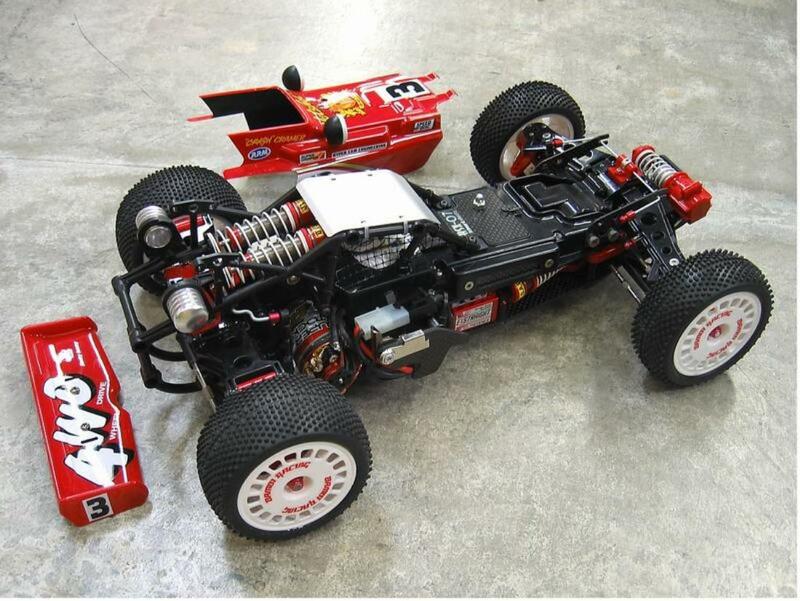 I love to see your modified cars, they´re extreeemly cool and show what is possible to modify when you put your mind on it (and you got the talent). Mods are one thing, this is the art on engineering!! Amazing! A stunning reinterpretation of a classic. Very very cool project. I love what you do to make a classic even better. Awesome as always! 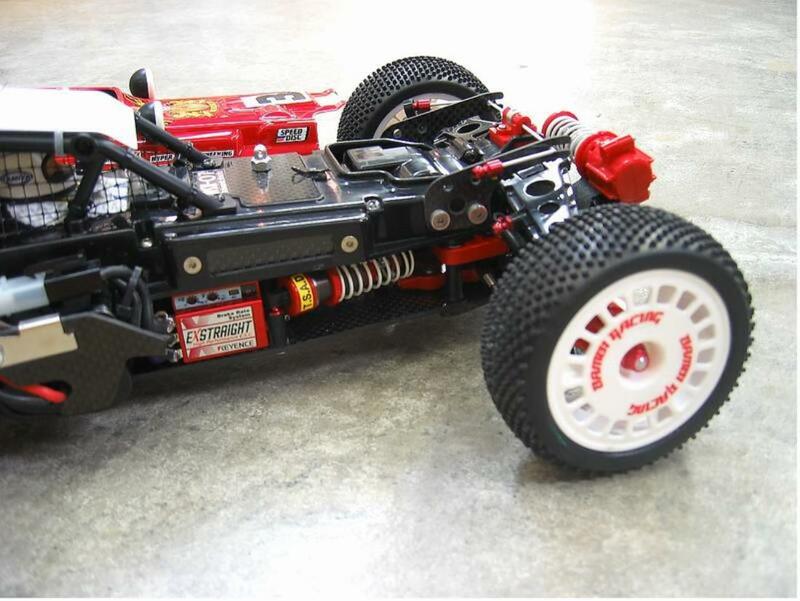 It looks like a real buggy, and yet you incorporated such modern features as adjustable upper links and quick swap battery holders. Truly amazing! This Hotshot is absolutely INCREDIBLE! You'd never know this was an '80s design; it makes the DI look like its from 1985! Wow! subarashii design desune (what an amazing design!)! Arigato gozaimasu, thank you for commenting. I'm sorry for delay !!!!!! Nihongo ojozu desune!! 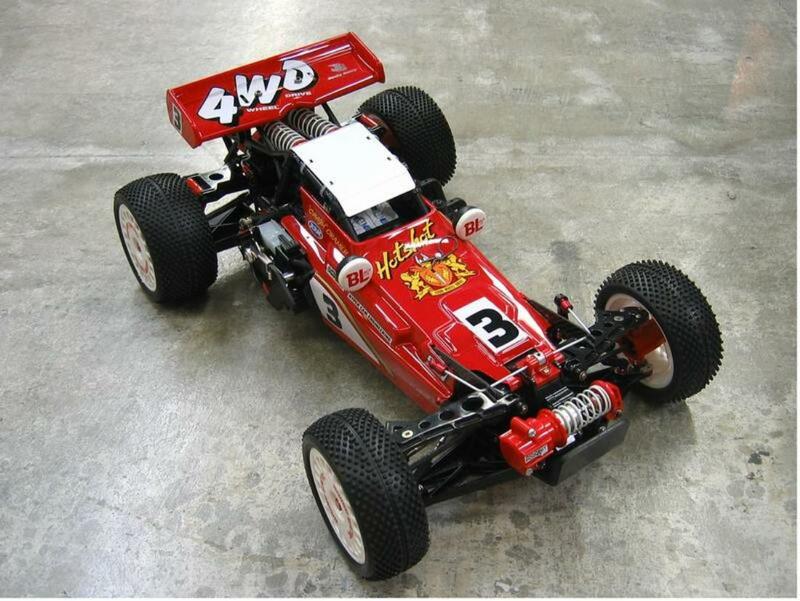 Simply one of the best models, best modifications and imaculately presented car on here. Awesome! Repeating what has been said before, but amazing looking car. What are the make/model of those wheels? they are class!